The C5 boss accuses Sorrell of using Group M's financial muscle to strike programming deals. Arif Durrani reports. Content, and all those who produce it, played a starring role at this year’s Royal Television Society Cambridge Convention. The Culture Secretary, Maria Miller, noted how the business of television – with the rise of smart TVs, video-on-demand content and IPTV – is changing fast, but was confident that savvy broadcasters could retain their "unique place at the heart of British life". "What drives this all is content," Miller said. "And no-one creates content quite like the British television industry." Words, no doubt, that will have reassured the great and good of the TV fraternity in attendance, of which there were many. However, amid all the future-gazing and posturing, there was a nagging commercial issue that many would have preferred to ignore. It took the self-styled "outsider" Richard Desmond to drag it into the spotlight at the University of Cambridge’s West Road Concert Hall. 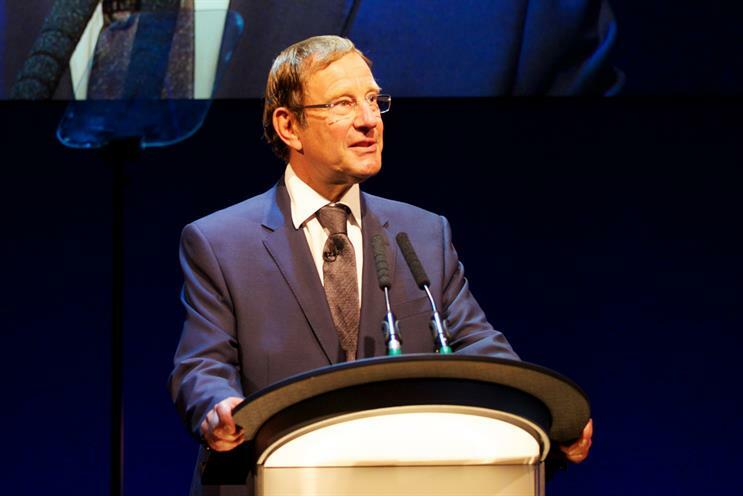 The owner of Channel 5 and Northern & Shell surprised many with a personal and emotive speech about his first three years in TV, calling it "by far the friendliest industry I have ever operated in". But he saved some of his most acute observations for the question and answers that followed. In a few sentences, Desmond challenged the very premise of Miller’s tub-thumping address. He reminded the many commissioners and producers present that, increasingly, it was Sir Martin Sorrell’s WPP that was getting to call the shots when it came to content. WPP’s content-funding unit Group M Entertainment is behind more com­missions than ever before, particularly in the factual and factual entertainment categories. To its advocates, GME offers valuable funding for broadcasters to help formats get commissioned. However, Desmond – whose C5 is believed to have struck more deals with GME than most – suggested Sorrell had been using Group M’s media buying muscle to help persuade broadcasters to carry its content, which GME co-owns the IP rights for. Desmond admitted he is "not happy about it" and added: "It is very difficult when Group M say to us that if you don’t do this, we are going to cut you back by 10 per cent or 20 per cent [in adspend from WPP clients]." It is the first public accusation of some of the murky practices rival agency traders have been muttering about for some time. One director estimates that GME has "dropped" around £50 million on programming this year and claims that, in return, Group M has received £75 million worth of media value in terms of airtime. Group M has categorically denied its GME formats have any connection with airtime deals. But such debate around who is funding TV content and why supports those, such as Channel 4’s chief executive, David Abraham, who urge us not to take the benefits of public-service broadcasting for granted. Abraham hailed the UK’s "enlightened policy interventions" of PSB and said the plurality it brings remains "absolutely key to what makes British content creation so great today". Meanwhile, forthcoming programmes brought to the table by GME will include a celebrity ski show for C4, The Alpine Games, and the ITV2 hit The Magaluf Weekender.